While both the 2019 Kia Forte and the 2019 Kia Optima are great vehicles to own, what one is best suited for you? Here at Moritz Kia, we’ve decided to take a look at both these vehicles in an effort to see where they differ, and where they are similar. Let’s take a look! For this comparison, we’ve decided to take the specs and features of the lowest trims for the Forte and the Optima. This means that you’ll be seeing the EX trim for both vehicles. This way, we keep things fair as we compare standard and available features. In the table below, you’ll see the power of both 2019 Kia sedans, as well as some technology features. We hope you’ll be able to decide which vehicle is right for you by the end of this comparison, but if you still are undecided please don’t hesitate to contact us here at Moritz Kia. We would be happy to tell you more about the features and specs of both vehicles. Now, let’s get started! 154 lb.-ft. Torque 195 lb.-ft.
As you can see, the 2019 Kia Forte has a bit less power than the 2019 Kia Optima. 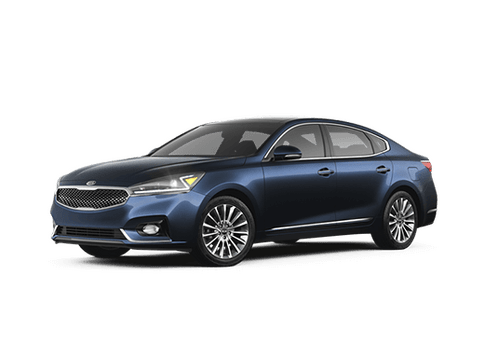 This isn’t to say that the 173 horsepower and 154 lb.-ft. of the Forte is anything to scoff at, but if one of your primary focuses is on the power of a vehicle, then you actually might want to go with the Optima instead of the Forte. However, the Kia Forte has many different technology, comfort, and convenience features that are standard on even the base trim. The heated/ventilated seats are an example, which is standard on the Forte and available on the Optima. For all audio enthusiasts, both of these popular sedans have Andriod Auto™ and Apple CarPlay™, so you won’t need to pick one vehicle over the other for this technology. Questions? Contact us! Again, we’d love to help you pick out your future Kia vehicle! Of course, if you’d rather speak to a sales representative in person, then you can come on over to Moritz Kia. You’ll be able to test drive the 2019 Kia Forte and see for yourself what specs and features the sedan offers.